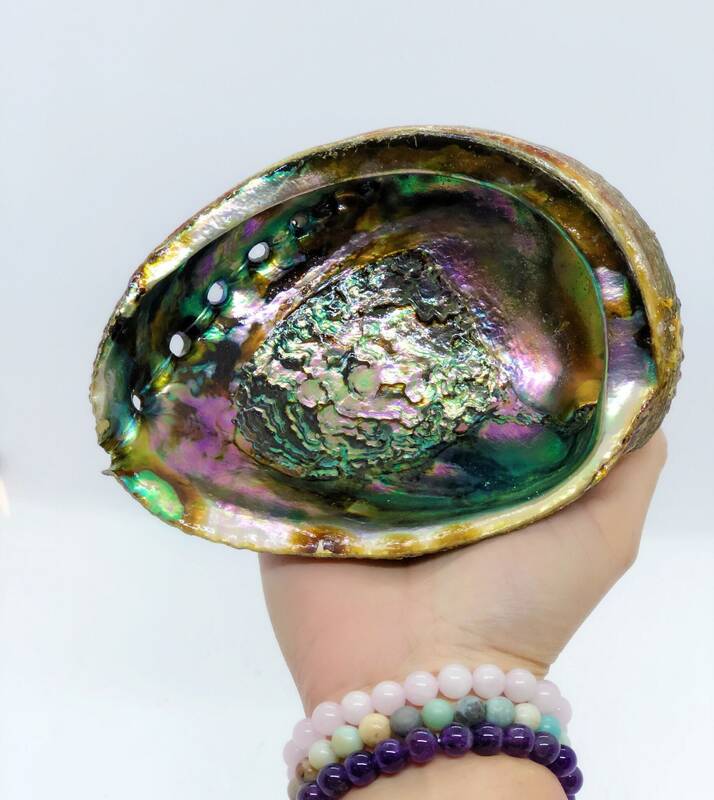 Large abalone shell 6-7”. This abalone is polished on one side. Great for smudging or decor. So pretty and came with a mini stick of palo santo :-) Will definitely be ordering more items from this shop!